SUPERVISOR ETL STEUERBERATUNG SPANIEN S.A.
PURPOSE 1. Provide the information or services you may request from us. 2. To be able to send our newsletters and information and advertising about our products and services, including by electronic means. 3. Publish and answer comments on our Blog. RECIPIENTS Other Spanish companies belonging to the ETL STEUERBERATUNG SPANIEN. Public administrations and agencies to comply directly with ETL STEUERBERATUNG SPANIEN’s obligations. ETL STEUERBERATUNG SPANIEN, S.L., with registered office in Calle Riera principal, 8 Alella, holder of tax code (CIF) number A66576877. To contact the sender of the information, respond to your queries, requests and questions, manage the publication of queries and comments and follow these up. Manage and control the customer portfolio. Manage the user registration process in the Online Platform. Create the user profile to offer customised content, products and services. Assess and manage your résumé for selection processes that are tailored to your professional profile and to carry out the actions necessary for the selection and recruitment of staff. In circumstances where the user expressly consents, to send advertising and marketing information about ETL STEUERBERATUNG SPANIEN, ETL STEUERBERATUNG SPANIEN Group entities or third parties (always through ETL STEUERBERATUNG SPANIEN itself, as a result of collaboration agreements with the same), on its activities, products, services, offers, contests, special promotions, as well as other documentation that may be of interest or useful to the user and/or customer. The personal data provided will be saved throughout the contractual relationship until the owner of the data request it be deleted or when it is no longer necessary for compliance with a legal obligation or to formulate, exercise or defend claims. If you withdraw your consent to the processing of your data or exercise your right to cancel or delete your personal data, this will be stored but will only be available to the Courts during the legally established terms to comply with possible responsibilities stemming from their processing. – The legal grounds for the processing your data for purposes 1 to 4 is to provide you with the corresponding service. – Products and services are offered customers based on the satisfaction of the legitimate interests of the business in order to offer our clients products or services and to secure their loyalty. This legitimate interest is recognised by the applicable legal rules (General Data Protection Regulation), which expressly allows processing of personal data on these legal grounds for direct marketing purposes. However, please note you have the right to oppose the processing of your data, which you may do by any of the means described in this Policy. – The grounds for sending marketing messages to non-customer users is that your consent has been requested, but this may be revoked at any time. Withdrawal of your consent shall not affect the performance of the agreement, but the data provided for this purpose before you withdrew your consent will continue to be legal. – The grounds for processing your Curriculum Vitae is the consent given by the candidate when submitting it for the purpose of taking part in recruitment processes. – The competent Public Administrations, in the cases and for the purposes provided for by law. – Companies that are part of the ETL STEUERBERATUNG SPANIEN. – Legal practices with which ETL STEUERBERATUNG SPANIEN companies has cooperation agreements to enable the implementation and proper provision of the legal services. 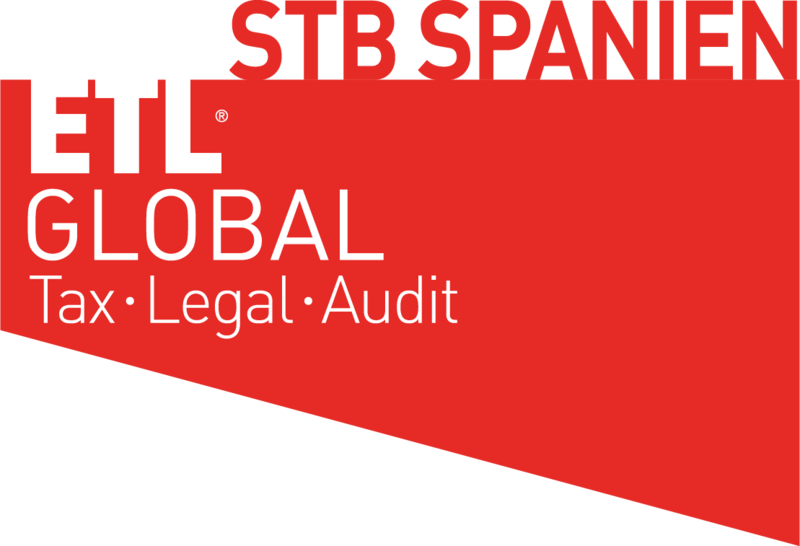 – Solicitors at ETL STEUERBERATUNG SPANIEN Group companies have cooperation agreements to enable implementation and proper compliance with the agreement. – Insurance Companies with which the ETL STEUERBERATUNG SPANIEN Group companies have cooperation agreements to enable implementation and proper compliance with insurance contracts. – Banks/Financial Institutions with which ETL STEUERBERATUNG SPANIEN Group companies has cooperation agreements to enable the implementation and proper provision of insurance contracts. – IT Service suppliers including cloud computer services providers. We may use Mailchimp, which belongs to the American company The Rocket Group, LLC, for sending or newsletters. This is not a transfer of data, since the data is used by this platform solely and exclusively for sending newsletters. This company also adheres to the Privacy Shield protocol that allows international transfers of data between the EU and the USA. – You are entitled to obtain confirmation as to whether we are processing your personal data. You are entitled access your personal data, to request correction of inaccurate data or, as the case may be, request its deletion when, for among other reasons, the data are no longer necessary for the purposes for which they were gathered. – In the cases foreseen in the General Data Protection Regulation, you may be entitled to request restrictions be placed on the processing of your data, in which case it will only be stored for the purpose of bringing or defending claims. – In certain circumstances and for reasons related to your particular situation, you may object to the processing of your data. If you have given consent for a specific purpose, you have the right to withdraw it at any time, without affecting the legality of processing based on your consent prior to withdrawal. In these cases, we will stop processing the data or continue to process it for this purpose, unless there is a compelling legal reason or to exercise or defend potential claims. – If any of your rights are infringed, and particularly when you have been unable to exercise them to your satisfaction, you may file a complaint with the Spanish Data Protection Agency (contact details available at www.agpd.es) or other competent control authority. You may also obtain more information about your rights by contacting those bodies. In any case, to exercise the above rights you may write to the following e-mail address: info@etlsteuerberatung.com. You are also informed that you may contact the Data Protection Officer of ETL STEUERBERATUNG SPANIEN by writing to the email address info@etlsteuerberatung.com or by telephoning 934 80 21 00. If you provide third party data, you are responsible for informing their owner in advance of the content of Article 14 of the General Rules of Data Protection under the conditions contained therein.